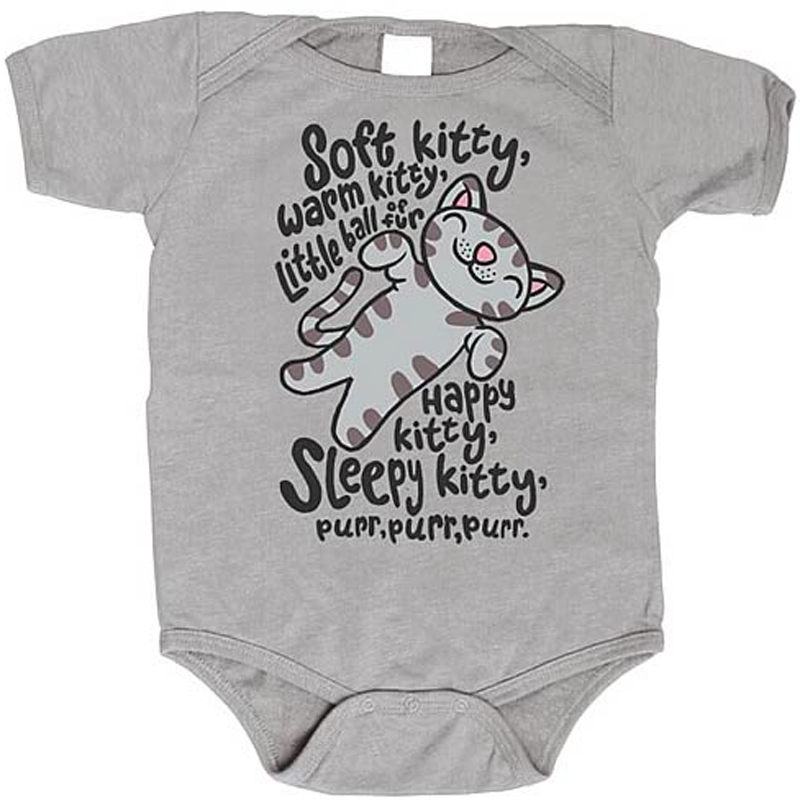 The Big Bang Theory Soft Kitty Gray Onesie brings you that lovely poem (so you'll never forget the words! ): "Soft kitty, warm kitty, little ball of fur. Happy kitty, sleepy kitty, purr, purr, purr." The high-quality, 100% cotton, ice-grey onesie is preshrunk and machine washable. Now your child will have fond memories of his parents singing him the Soft Kitty song, let's just hope he or she doesn't grow up to be like Sheldon. Feature: - 100% cotton, grey, onesie. Machine washable.